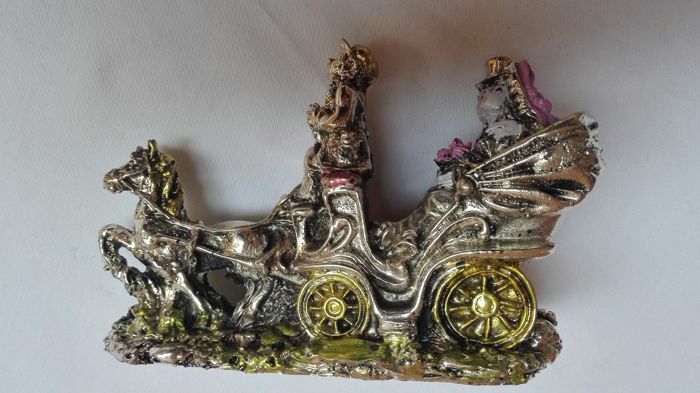 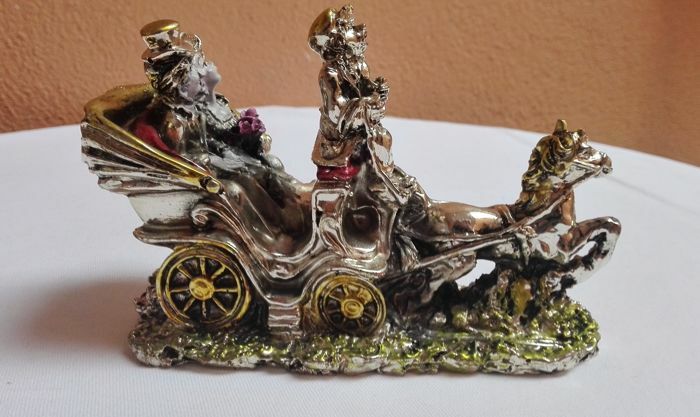 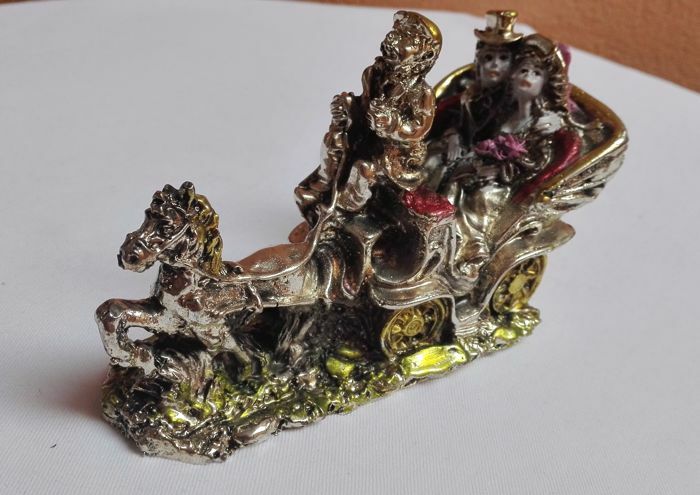 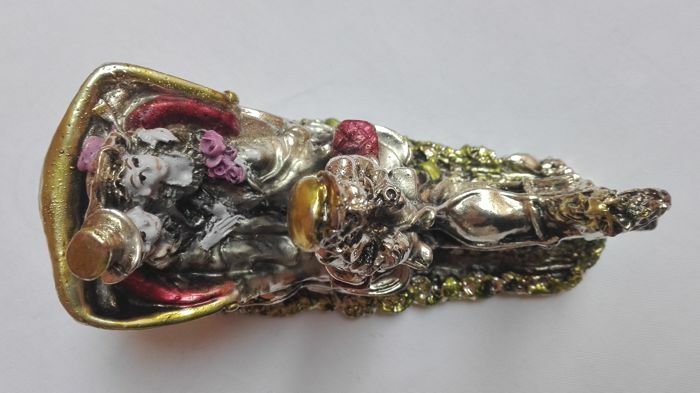 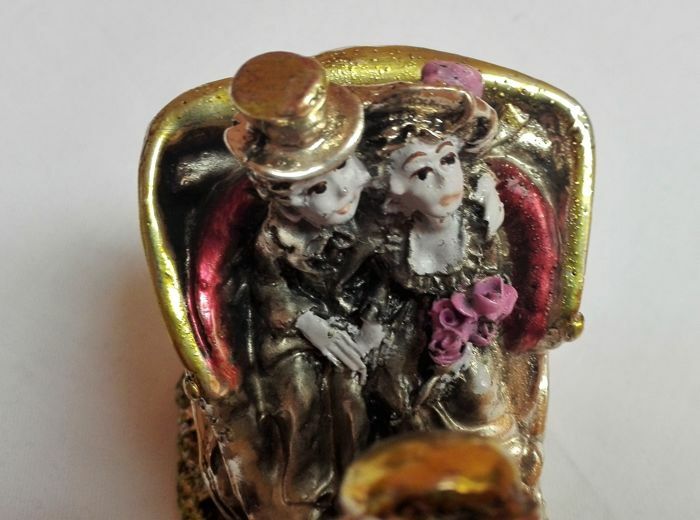 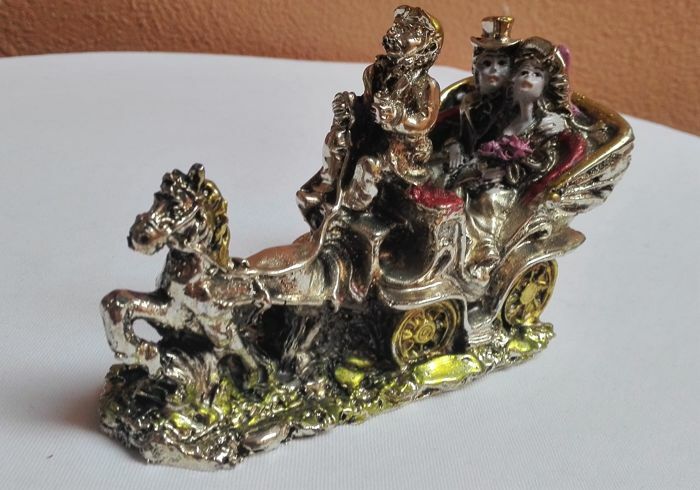 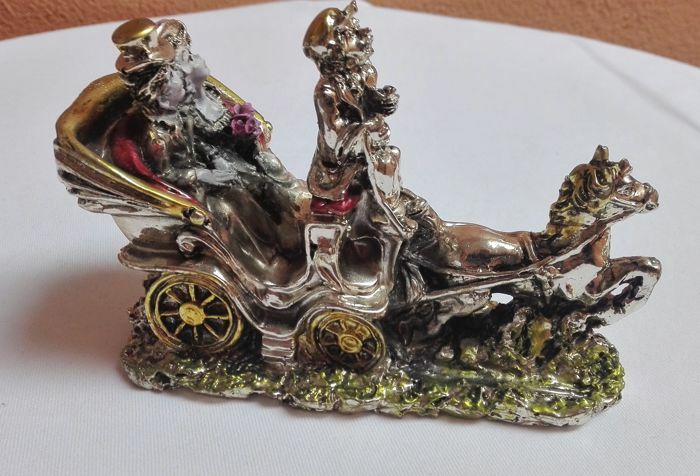 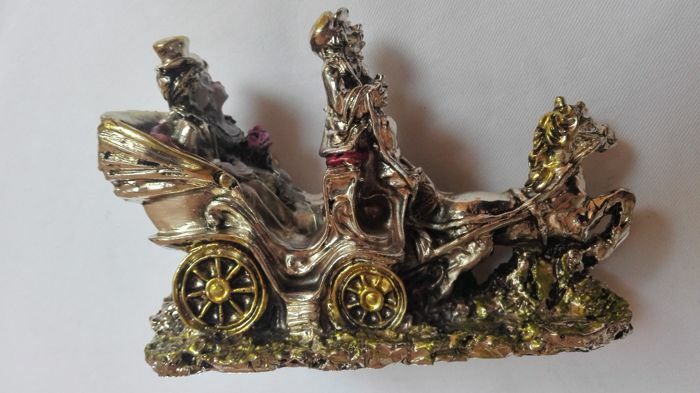 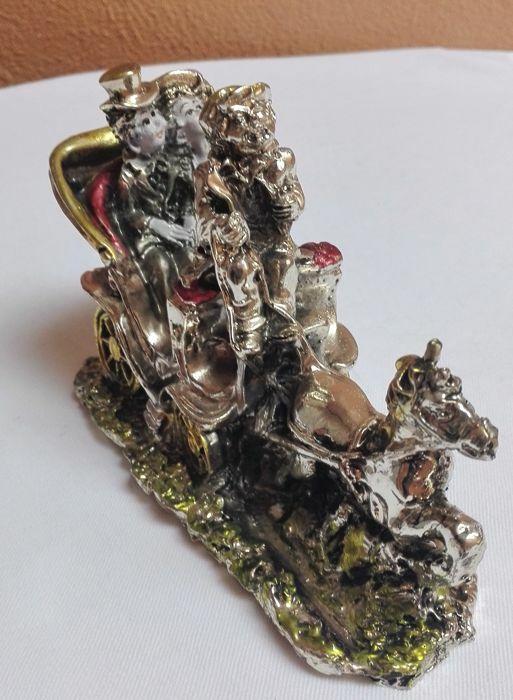 Vintage statuette depicting a married couple on a 19th century style coach, with horse and coachman.Silver plated item, with coloured details, in good condition, as shown by pictures. 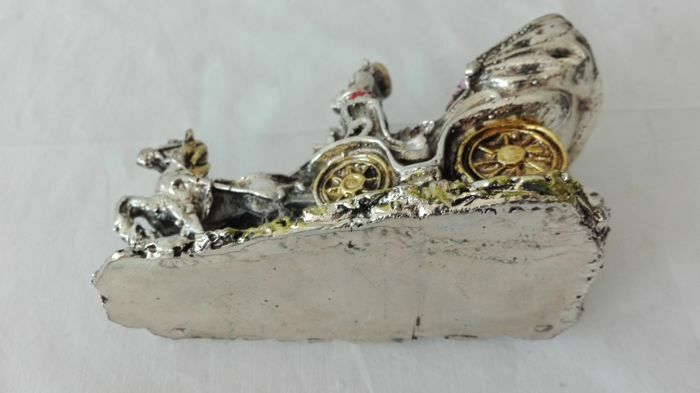 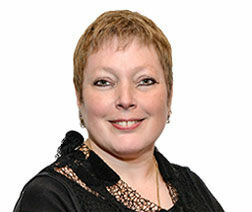 With minor signs of wear due to ageing. 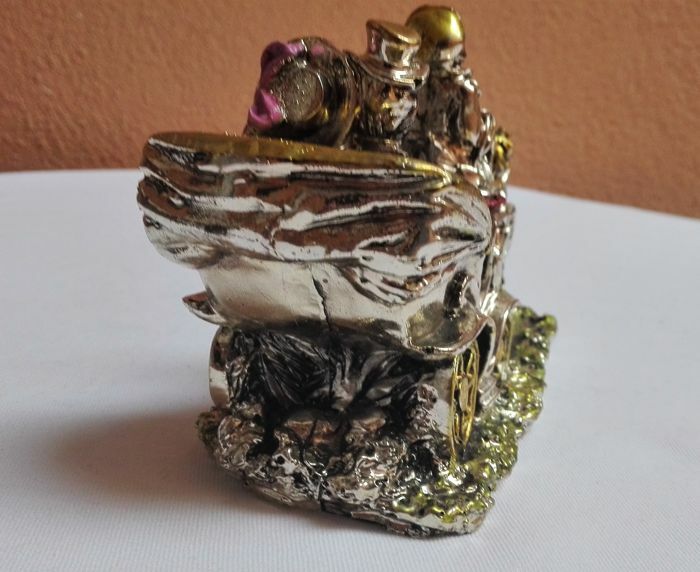 Dimensions: height 11 cm, base 14.5 x 7 cm; weight approx. 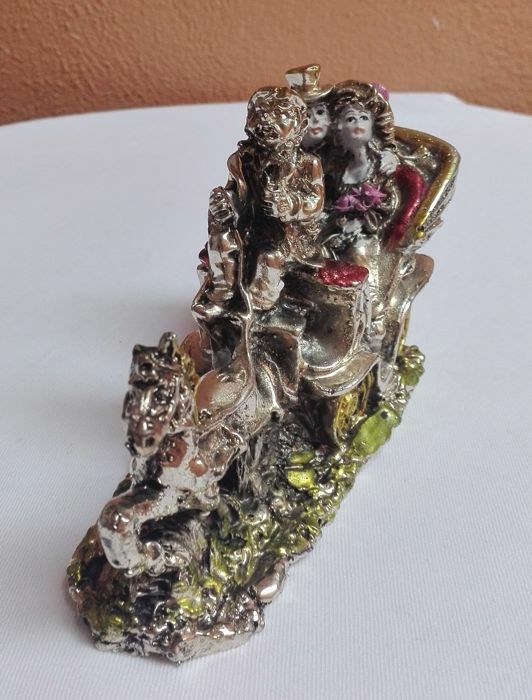 550 grams.